At Room & Board, we believe that we are part of something bigger. We are committed to protecting the world we share through our business practices and our partnerships with environmental organizations. 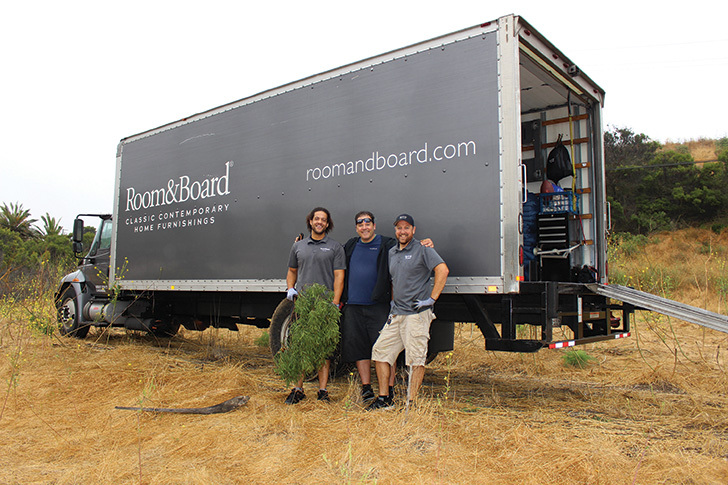 Through Room & Board’s Community Partnership program, our Los Angeles delivery center has established a robust and dynamic relationship with Palos Verdes Peninsula Land Conservancy (PVPLC), whose mission is to preserve and restore habitat on 16,000 acres of coastal land on the Palos Verdes Peninsula. The Los Angeles delivery team chose PVPLC as its community partner in 2013. The relationship has blossomed in the ensuing years. 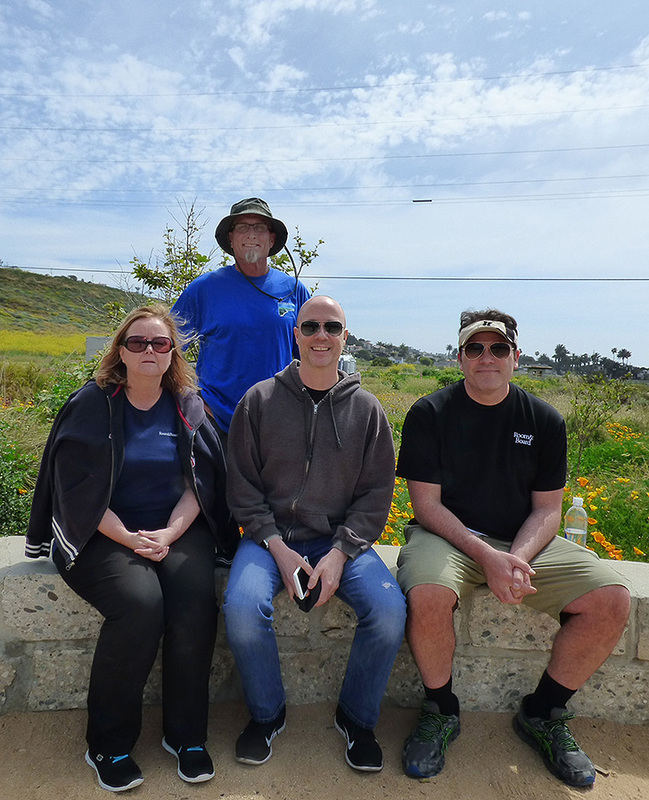 “The staff at Palos Verdes Peninsula Land Conservancy shares a lot of the same values. We are both willing to think outside of the box on ways we can help,” said Customer Service Associate Mark Mathieu. The team has done everything from weeding, raking and planting to providing furniture for fundraising events to building plant pallets from recycled scrap wood from the delivery center. 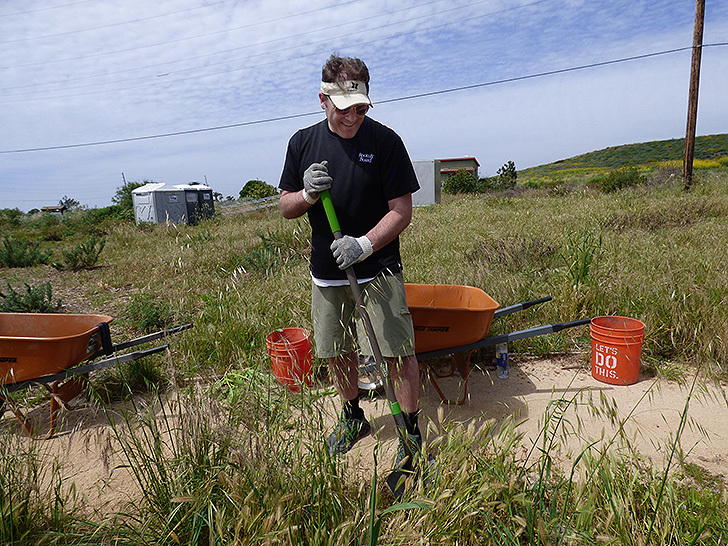 One of PVPLC’s long-term goals is to remove invasive plants and restore the native vegetation. 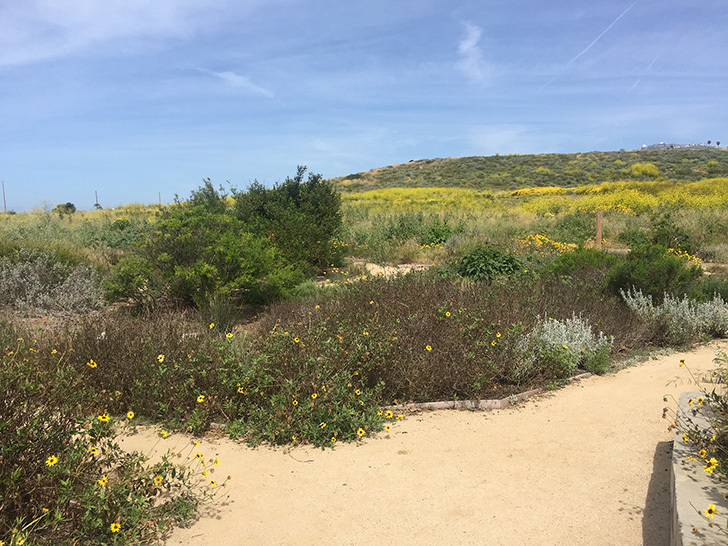 You can find Acacia, an invasive species native to Africa, within the preserve, so PVPLC contacted the Los Angeles Zoo to see if they would be interested in the plants for the African zoo animals. The zoo said ‘absolutely!’ and Room & Board sent a truck and a few staff members to clear and transport the brush destined to be a little taste of home for the animals. If you’d like to visit or volunteer with PVPLC, head to their website to learn more.